On Sunday, my dear husband spent a chunk of his rare weekend down time making me a CD of our favorite Beach Boys songs. I started reflecting on which songs of theirs we love, and my mind traveled back to one of our most special moments together as a couple. We were invited to celebrate his grandparents' 50th wedding anniversary with the whole extended Forrest family at Bil-Mar, a beachside restaurant in Grand Haven, in December 2011. 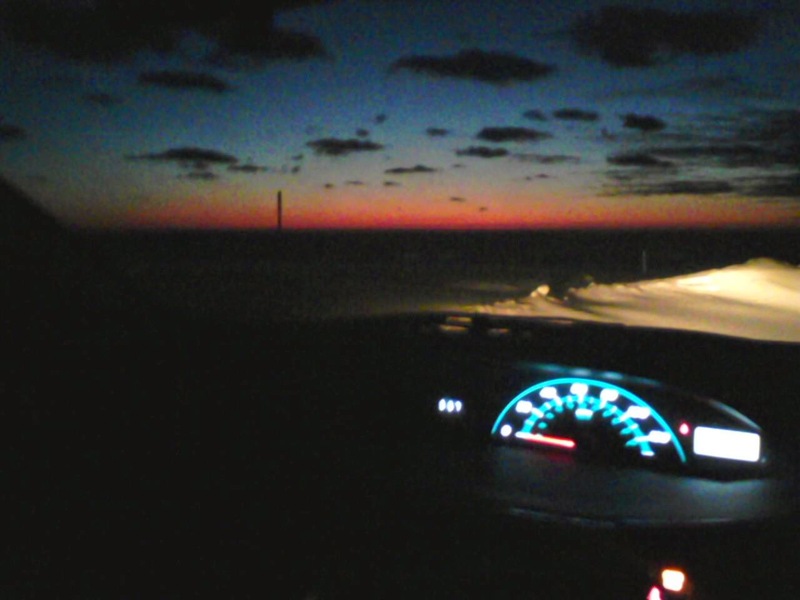 We savored each minute in the car on the drive there, watching the sunset over Lake Michigan. At the time I snapped the photo below, the song "Little Saint Nick" was playing, right before we went inside to join the family for dinner. Little did I know that, at the time, Adam was saving up for an engagement ring, and exactly one year later, on his grandparents' 51st anniversary, we'd be getting married. The song "Little Saint Nick" isn't by any stretch of the imagination a love song, but it will always remind me of that special memory with Adam during Christmastime 2011. I remember once driving out in a swirling snowstorm and turning on my CD player to hear Claude Debussy's "The Snow Is Swirling," a piano piece scored for guitar. Lovely and perfect. Not a Christmas song, but an instance of music making an impression and life imitating art! I'm listening to the song right now, and it's beautiful. Thanks for sharing!